Mozilla Firefox: Yahoo replaces Google as default search engine. Firefox is dropping Google for Yahoo as its default search engine. My headline here is slightly tongue-in-cheek. Google, whose pre-eminence among search engines is well-established, will probably not lose much sleep over Yahoo’s re-emergence in the search game. That said, this is one of the most substantive moves that Yahoo CEO Marissa Mayer has made yet—and it’s good news for anyone who fears that Google is gradually taking over the Web. The news is that Yahoo has reached a five-year deal with Mozilla to become the default search engine on its Firefox browser. Firefox had used Google as its main search engine since way back in 2004. How big a deal is this? Well, for most Web users, it’s not as big a deal as it would have been five or 10 years ago, when Firefox was the main alternative to Microsoft’s Internet Explorer. Today Firefox ranks as the third-most-popular desktop browser in the United States, behind IE and Google’s Chrome. But it’s a distant fourth if you count mobile browsing, where the popularity of Apple’s iOS gives its default Safari browser a leg up. Still, for those who care about competition and a diversity of choices, the deal could be a bulwark against Google hegemony. And for both Yahoo and Mozilla, it’s momentous. It’s not an understatement to say that both organizations are staking their future on the partnership, albeit to different degrees. Mozilla, a nonprofit dedicated to openness and innovation on the Web, had become overly dependent on Google, which reportedly accounted for the lion’s share of its revenue. It was also likely at odds with Google over its refusal to recognize users’ “do not track” browser settings. Under the deal, Yahoo will honor such settings for Firefox users. Improving Yahoo’s search business has been a top priority for Marissa Mayer. For Yahoo, the partnership is a landmark in Mayer’s ongoing bid to rejuvenate a flagging company and restore its vital role in the tech landscape. Once the Web’s most popular search portal, Yahoo realized as early as 2000 that Google’s algorithm-based engine was superior to its directory in terms of quickly returning the most relevant results. By 2002, as Search Engine Land’s Danny Sullivan recounts, it made Google search the default on its own homepage. It later purchased Google rival Inktomi in an ill-fated bid to keep up. Eventually it conceded defeat and partnered with Microsoft to power its results. Our teams worked closely with Mozilla to build a clean, modern, and immersive search experience that will launch first to Firefox’s U.S. users in December and then to all Yahoo users in early 2015. The interactive and integrated experience also better leverages our world-class content and personalization technologies. Search inspires us because we think it’s something that will change and improve dramatically, and because fundamentally, search is about human curiosity — and that is something that will never be finished. Even if Microsoft continues to power the core of Yahoo’s search engine for the time being, it’s clear that Yahoo has plans to add its own twists to the experience. And again, it might ultimately pave the way for Yahoo to create an entirely new search engine that differs from both Google and Bing in important ways. Whether this will be a boon for Firefox users is not yet clear: There’s a reason Google dominates search, and it’s that Google is very good at what it does. 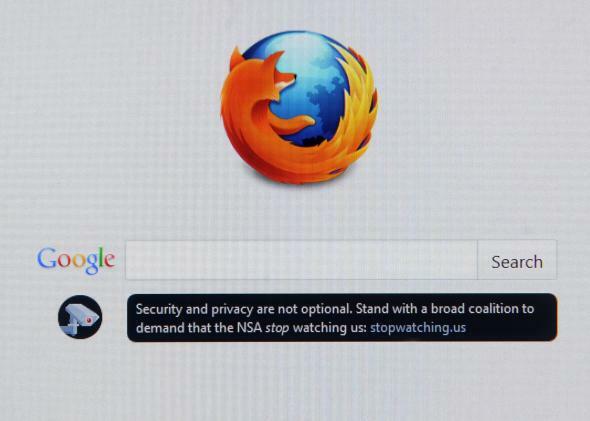 Mozilla is taking a major risk here. But at a time when Google searches are sending fewer people elsewhere on the Web, and keeping more of them within the ever-expanding Google universe, the Web should welcome another option.